Set in the Indian Ocean in South Asia, the tropical island nation of Sri Lanka has a long and colourful history. It is a place where the original soul of Buddhism still flourishes and where nature’s beauty remains abundant and unspoilt. Few places in the world can offer the traveller such a remarkable combination of stunning landscapes, pristine beaches, captivating cultural heritage and unique experiences within such a compact location. Sri Lanka travel adventures let you discover attractions that are truly diverse and exotic; within a mere area of 65, 610 kilometres lie 8 UNESCO World Heritage Sites, 1,330 kilometres of coastline – much of it pristine beach, – 15 national parks showcasing an abundance of wildlife, nearly 500,000 acres of lush tea estates, 250 acres of botanical gardens, 350 waterfalls, and 25,000 water bodies, not forgetting a culture that extends back to over 2,500 years. 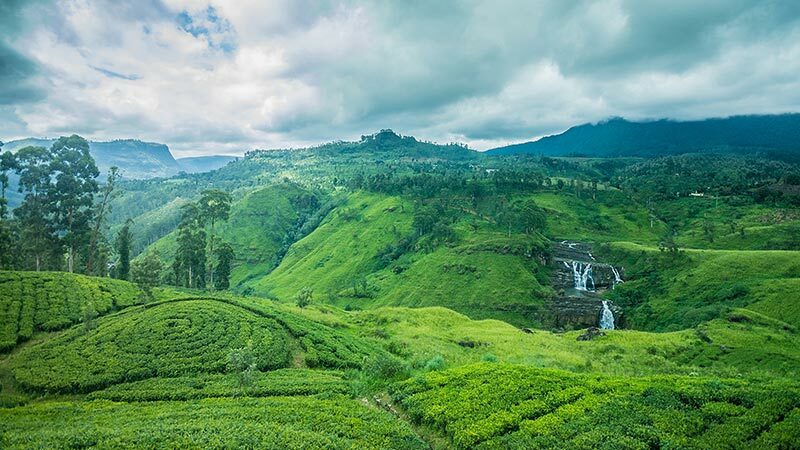 Explore Sri Lanka, travel the island, of magical proportions, once known as the Serendib, Taprobane, the Pearl of the Indian Ocean, and Ceylon.